Chanteur Country US né Joseph Simpson, le 6 Mars 1934 à Higley (Arizona). 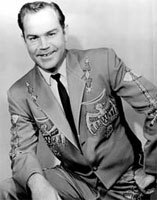 Red Simpson a fait ses débuts avec Buck Owens pour lequel il écrit plusieurs titres Country. Au milieu des années soixante, Red adhère au mouvement "Truck Songs" et signe un contrat avec Capitol. Sa Musique est rythmée, vivante, parfois proche du Rock 'n' Roll et représente le meilleur de la Country Music des sixties. Red Simpson est décédé le 8 Janvier 2016 à Bakersfield (Californie). 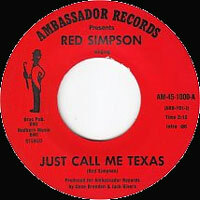 Best known for his string of trucking songs, Red Simpson was raised in Bakersfield, California, the youngest of a dozen children. At age 14, he wrote his first song -- about chickens -- and sang it to his family's fowl. During the Korean War, he served aboard a naval hospital ship, the Repose, where he found relief by forming the Repose Ramblers, who played any instruments they could scrounge up. He bought better ones in Japan and began to practice in earnest, and became a professional musician in California after his discharge. 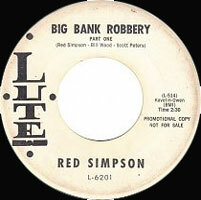 Simpson was working at the Wagon Wheel in Lamont when Fuzzy Owen saw him and arranged for Simpson to work at his Clover Club as a piano player. He then got a job replacing Buck Owens at the Blackboard Club on weekends. 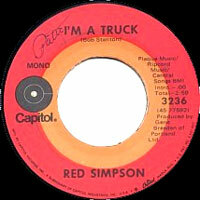 Simpson was influenced by Owens, Merle Haggard, and Bill Woods, who asked Red if he would write a song about driving trucks. 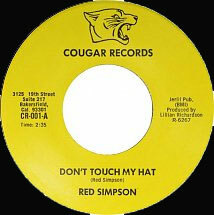 (By the time Simpson handed him four truck songs, however, Woods had stopped recording.) 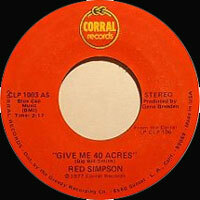 Simpson began writing songs with Buck Owens in 1962, including the Top Ten hit "Gonna Have Love." 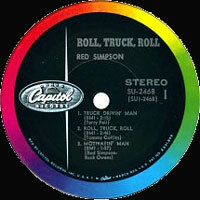 In 1965, Capitol's Ken Nelson was looking for someone to record some songs about trucking. His first choice was Haggard, who wasn't interested, but Simpson readily agreed. 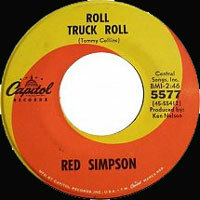 His first, Tommy Collins' "Roll, Truck, Roll," became a Top 40 country hit and Simpson recorded an album of the same name. 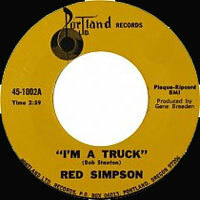 That year he offered up two more trucking songs, both of which made it to the Top 50 or beyond. 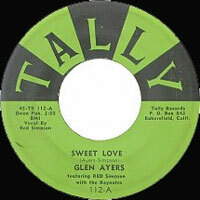 As a songwriter, he scored his first number one hit with "Sam's Place," recorded by Buck Owens. After that, Simpson decided to become a full-time writer. He returned to performing in 1971 with his Top Five hit "I'm a Truck," which had been written by postman Bob Staunton. 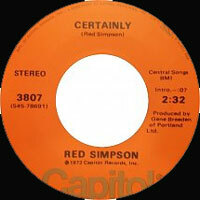 In 1972, he debuted on the Grand Ole Opry and had two more "truck" hits for Capitol. 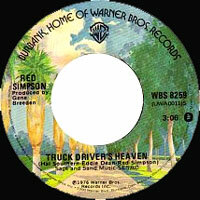 In 1976, Simpson signed to Warner Bros. and released "Truck Driver's Heaven." 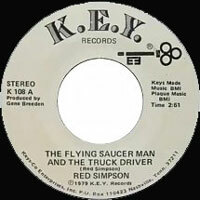 The following year, he teamed up with Lorraine Walden for a series of duets that included "Truck Driver Man and Wife." 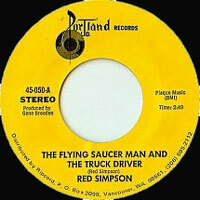 In 1979, Simpson appeared for the last time on the charts with "The Flying Saucer Man and the Truck Driver." Haggard recorded his song "Lucky Old Colorado" in 1988; later that year Simpson was diagnosed with skin cancer and underwent surgery, but he fully recovered and continued his writing and performing career. 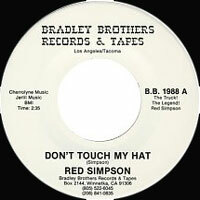 Featuring 14 new songs, The Bard of Bakersfieldwas Simpson's first album in nearly a quarter century, arriving on the Windsor Music label in 2005. Simpson died in Bakersfield in January 2016 from complications of a heart attack; he was 81 years old. 06/1962 SP LUTE 6201 (US) . 1963 SP MILLIE 101 (US) . 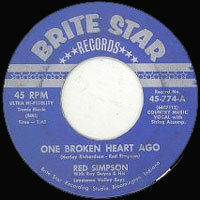 1964 SP BRITE STAR 45-774 (US) . 1970 SP PORTLAND 1000 (US) . 1975 SP PORTLAND 45-030 (US) . 05/1975 SP PORTLAND 45-034 (US) . 1975 SP PORTLAND 45-038 (US) . 1976 SP PORTLAND 45-050 (US) . 1977 SP CORRAL CLP 1003 (US) . 1980 SP AMBASSADOR AMB-1002 (US) (promo) . 1981 SP COUGAR CR-0001 (US) . 1982 SP Doo Dah 1000 (US) . 11/2001 SP PALOMINO WWA-110101 (US) . Hey Bin Laden / ?